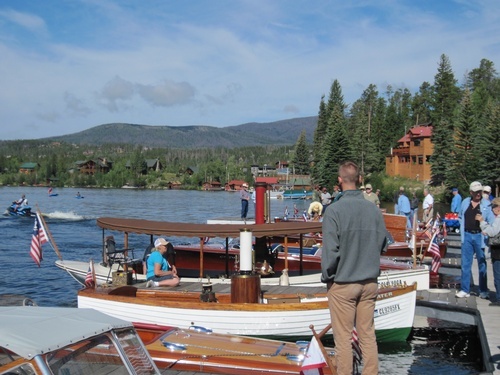 An in-water display of classic (mostly wood) boats from 9 a.m. to 12:30 p.m. CDT. Boat owners will be present to talk to attendees. The boat show will be followed by a boat parade of the water front area and the lake shore. The boat show will include a wood paddleboard display near the waterfront. In addition, there will be a display and presentation at the Grand Lake Community House on the history of boating on Grand Lake.